Mobile devices have enabled consumers to shop when and where they wish, and a better deal is often just a few clicks, or a few taps, away. To be successful, today's marketers must cater to the evolving consumer demands for convenience and connection. Seamless shopping between sites and stores is no longer just a marketer's dream, it's a consumer's expectation. Consumers are not simply window shopping in your stores or casually browsing your product pages. 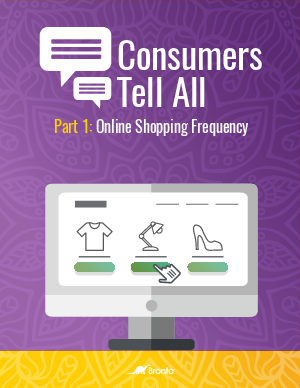 This report looks at how frequently online shoppers are making purchases.